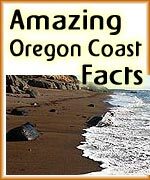 (Astoria, Oregon) – At the very northern tip of the Oregon coast, the ancient town of Astoria seems to occupy the unique status of legendary icon and yet guarded secret destination. A kind of cult popularity, perhaps. 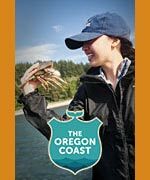 Its weather-beaten disposition hosts an enormous history underneath it all, going all the way back to the War of 1812, even to Lewis and Clark's winter there in 1805-06. 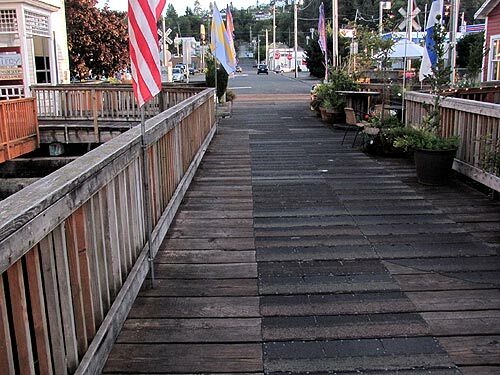 (Above: part of the charming Astoria waterfront piers, with its boardwalk and shops). Along the way through the ages, it has risen and fallen in various ways. In the last decade and a half, Astoria has recharged itself with a multitude of new looks and renovations. 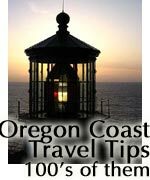 But it has always kept its ruddy and rustic demeanor in way or another, becoming ever more attractive to the tourist yet holding onto enough rust and crumble to remain as authentic an historic Oregon coast experience as you could ask for. 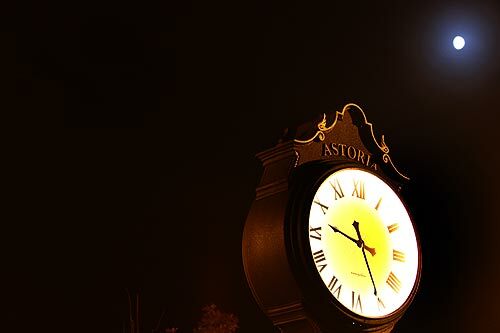 There is a heavy time-tripping element to the place, starting – ironically – with the timepieces of downtown Astoria. Along the streets sit these ancient-looking beauties, although they're likely fairly new. A serious nod back to the town's frontier past, they also have a feel of a town from the 50's or 60's that hadn't yet quite caught up to the times back then. Here, that's not a sign of lack of progress, however. It's a badge of honor. Astoria has a way of recycling with delightful and surprising approaches. 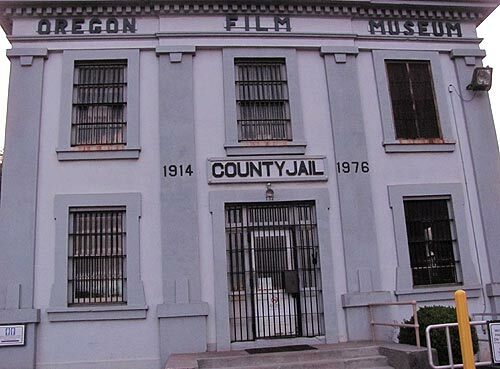 What was once the county jail, housing a variety of unsavory and nefarious sorts, has now morphed into a film museum. Inside, there's lots, because Hollywood has pointed its cameras here plenty of times since the 80's, resulting in films like Goonies, Kindergarten Cop, Short Circuit, The Ring and many more. 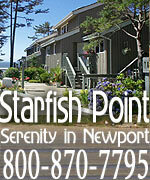 Walking along the waterfront, you'll notice a proliferation of piers and pilings – the leftovers of piers. 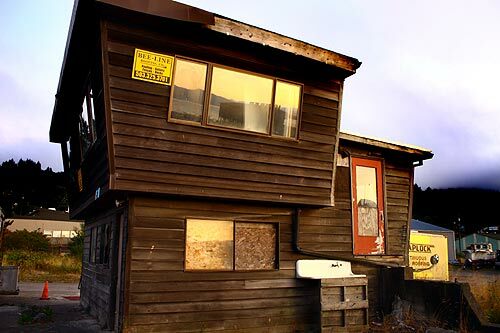 This is a sign of the town's fishing and cannery industry past, which fueled it for around 100 years or so. 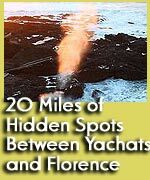 At one point, one of these looks like an old barn sitting on the water. It's now a practice pad for bands and other spaces for artists. 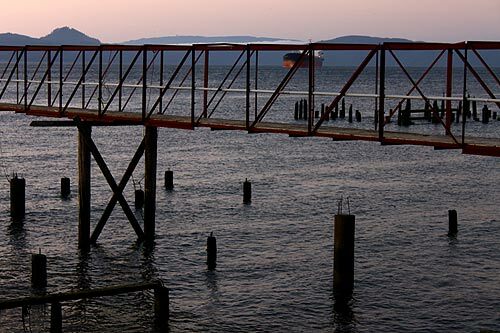 You'll see this interesting walkway stretching between it and the shore, framed by the distant hills of Washington State and behemoth vessels wandering past. 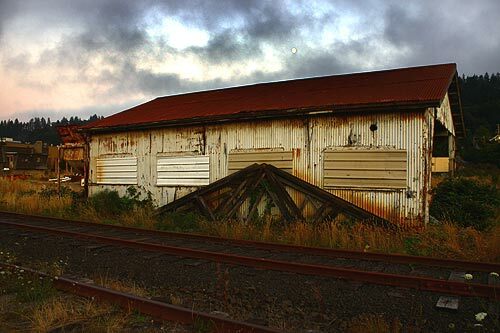 The old Astoria Train Depot has sat somewhat derelict for decades, with the last passenger having boarded a train here in the early 50's. The big red mystery was a boat building shop for a while in the 90's, but otherwise sat unused. Its darkened, semi-crumbling exterior worse for the wear and weather, it has made many a wanderer wonder about its purpose over that time, as other more attractive and shiny features sprang up around it. These days, however, like most things in Astoria, it's undergoing a renaissance. 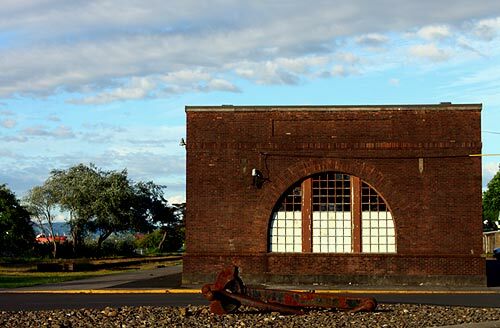 A local fundraising effort has started not just a preservation project but a revitalization, and it will soon have a new life as an addition to the Columbia River Maritime Museum. Also like everything else in Astoria, it simply had to wait its turn. 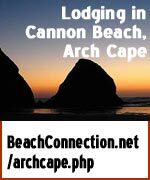 Sometimes the real charm of this north Oregon coast hideout comes in the truly beaten down examples of its architecture. This is about as real Americana as you can get: some old rusted building sitting by the side of the riverwalk trail. It's only missing a derelict gas station or a family from the 1930's dustbowl. 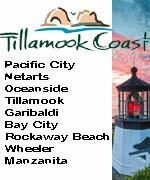 That riverwalk trail stretches from downtown's more upscale additions through to the east side's more basic and almost derelict docks, where massive sea lions can be heard carousing and lounging. All along the way, you're walking over railroad tracks for the trolley, which has seriously upped the anti for appeal in the last decade or so. At times this walk takes you through increasingly rugged and ragged territory, which can be delightful. Like this puzzling example of architecture above, which looks a bit like a flight control tower made of wood. Some fascinating finds lurk here in the Americana category. 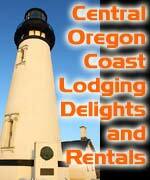 For more about north Oregon coast lodging and dining, see below.